The two types of bees that are commonly mistaken for one another are the carpenter bee and the bumblebee. While the two types of bees appear similar in appearance at first glance, there are many different ways to distinguish the two. Bumblebees have hairy abdomens with yellow markings whereas carpenter bees have bare and shiny abdomens. Their flying patterns also vary, as bumblebees fly in a straighter line than the carpenter bee. Carpenter bee flight patterns look as though they are darting and diving through the air and chasing one another. To Hive or Not to Hive? Bumblebees are known as social bees and live in colonies. Their nests have a yearly cycle and can contain 50 to 500 occupants. They don’t look like your typical beehive as the nest entrance of the colony can usually be found in the ground. Bumblebees work their entire lives feeding and protecting the colony, particularly the queen bee. If a bumblebee feels as if the safety of the colony is threatened or the bee is provoked, it will sting. Carpenter bees are solitary insects and are often described as harmless (to humans, but not your wooden deck!). Female carpenter bees create their nest in wood, using their strong jaws to chew through porches, doors, and other wooden materials. They prefer soft, weathered and unpainted wood. While female carpenter bees do have stingers, they rarely use them. This only occurs if the bee is seriously provoked. Male carpenter bees are very protective but do not possess a stinger. They may, however, fly towards someone who has gotten too close to the nest in an attempt to appear intimidating. If you have discovered a nest of either bumblebees or carpenter bees, there are several different ways you can try to get them to relocate. Bumblebees: Keep the surrounding area well-watered. You can also consider clearing the area of branches or grass; this will make the area less inviting to the bees. Bees are attracted to sweet, sticky substances. Removing nearby trash cans or litter can also help the situation. Carpenter bees: Stuff the hole they have created with steel-wool. To prevent carpenter bees from making your home into their home, you can paint or stain possible places that a female carpenter bee would want to create a nest. Whereas bumblebees are seen as a beneficial insect, carpenter bees are often seen as a nuisance to homeowners. However, both species of bees help the environment flourish by helping to pollinate the local flowers, gardens, and some crops. Pollinator numbers are in decline all over the globe, so it is a good idea to get bees to relocate if possible. Experiencing a bee or wasp problem? 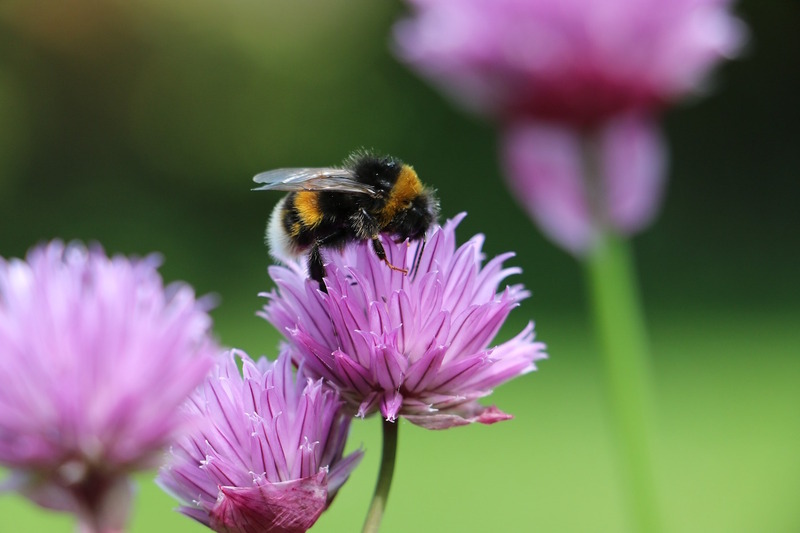 Contact one of our qualified bee experts today!